Holmes and Watson are helping Scotland Yard look into a series of murders- the women have all had their right thumbs expertly removed. Holmes is trying to figure out what they all have in common. turns out it's a blackmail scheme involving hypnosis and his old nemesis Prof. Moriarty. a nice little thriller, with a good script and likable cast. I love the 'Rathbone/Bruce' Holmes films. My dad and I used to watch those and Charlie Chan on Saturday nights long ago. They're all great fun. I have some on tape and a few on DVD. I bought THE WOMAN IN GREEN on a dollar DVD recently and will throw it on soon, as it's been years since I've seen it. I'll add comments later. Thanks for bringing these up. Megs, are you planning on posting the whole series? That would be great! These are great flicks. I have a copy of WOMAN IN GREEN here someplace, I'll have to check it out and write something up as well. I have more of these movies, but most of them are on old VHS tapes I made off the late show. Full of commercials and also the tape integrity is starting to go. They're pretty old. I did get some on DVD, and some Charlie Chans as well. I think there are even more Chan movies out now, seems I saw another collection at the BIG BOX ELECTRONICS store down the way. There is a complete DVD collection of all the Rathbone/Bruce Holmes films available. It's expensive, but it includes all 14 films and they've been completely restored by the UCLA Film Archive from 35mm prints. From everything I've read, the films have never looked so good. I'd love to get the set some day. The set is cheapest at DeepDiscount.com => DeepDiscount - Holmes set. There is more detailed information about it on this Amazon.com listing (though it's priced higher there) => Amazon - Holmes set. There are a couple Charlie Chan sets and individual DVDs out, but I don't think all the films have been released yet. Again, I'd love to have em all. Many of those I haven't seen since the '70s. This sure is an expensive hobby we have, isn't it? The Rathbone/Bruce collection sounds great; I hesitate to guess the price for all 14 films, probably a hundred or so, huh? I got the six Charlie Chan's released a while back by MGM, here's the titles. I'll try to get to write ups on those soon, it will keep me out of trouble...won't it? There's another set of Chan movies out now, I think it was at least 60 bucks or so, maybe more, but it looked good to me except for the price. Can't remember any of the titles in it off the top of my head. My Sherlock Holmes DVDs are a collection of 10 in a cheapie set, some are TV episodes and stuff, the quality was bad on some of them. It has four of the Rathbone flicks, I think. Your right, Lunk; collecting movies is still too expensive. I say we lobby for a five dollar maximum on ALL DVDs. Then people wouldn't need to burn them / pirate them or whatever, and we would all be happy. Same goes for CDs; stop hunting down college kids making party disks for their friends. Just my humble opinion. Afa Dollah wrote: The Rathbone/Bruce collection sounds great; I hesitate to guess the price for all 14 films, probably a hundred or so, huh? Pretty close. At deepdiscount.com the set's going for $86.50. As much as I'd love to have it, that's just not in my budget right now. Roland Carstairs to protect the star of Rhodesia, an enormous diamond. naturally, someone is after it. which features five episodes of the enjoyable 1954 tv series as well. years and not with any sort of background knowledge of the character. I watched this one again about a year or so ago. It is a neat little quickie. I'll probably pop both WOMAN IN GREEN & TERROR BY NIGHT in soon for refreshers. The great thing about these movies is when I haven't seen them for a few years, I tend to forget the plot twists and who's the real killer. Plus, they're very rewatchable to begin with. I love the chemistry between Rathbone and Bruce. dat's da one i have. i've started DRESSED TO KILL last night, and will watch more tonight. it's only $12, and the quality is highly watchable. 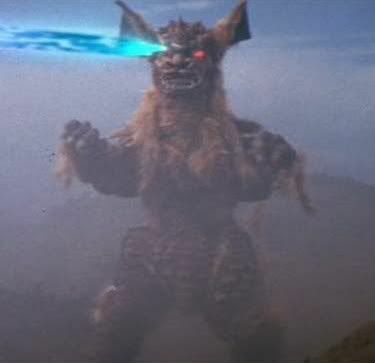 Okay, I'll bust out DRESSED TO KILL later on and then I'll be able to contribute here. Lunk is right, these are highly rewatchable films. Rathbone is sort of the quintessential Holmes by virtue of his performances, and Nigel Bruce makes a good Watson, counterpoint to Holmes. the last of the Rathbone/Bruce movies, and a fun one all in all. it involves 3 music boxes which have clues to a set of pound notes from the bank of England. a murder or two and a beautiful woman are involved. I watched THE WOMAN IN GREEN last night. It'd been quite a few years since I last saw it, so I enjoyed it a lot. I forgot about Watson getting hypnotized. That was pretty funny. Poor guy, he also had a fright when he thought Holmes got blasted. Great cast - Henry Daniell is really good as Moriarty, and it's always a treat seeing Hillary Brooke. Woo! Woo! She was a nice addition to the Abbott & Costello TV shows. Pretty nice cover - they even made Hillary's hair green!! 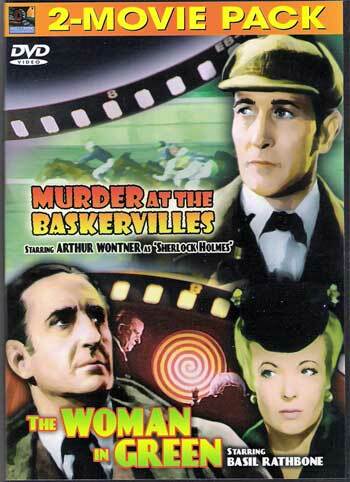 I've never seen the other film on this DVD, nor Arthur Wontner as Holmes. I'll check it out eventually, but Basil will always be the definitive Holmes for me. I watched TERROR BY NIGHT again recently and it really is a fun entry in the series. Very entertaining. I especially love the ending and I always forget that Skelton Knaggs has a nice little, sleazy role. He's great with those. Holmes nearly getting tossed off the speeding train is also a highlight. Of course our dear Dr. Watson has another hilarious moment when he tries to formally question one of the passengers. The way he gets turned around is so funny.